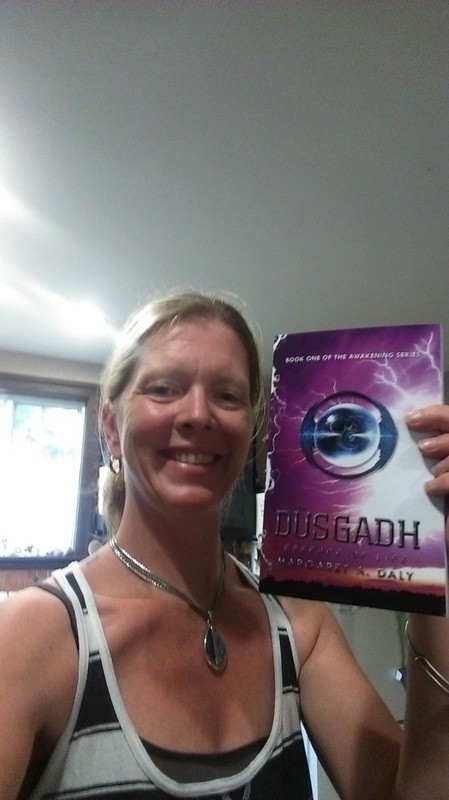 ​ Having written her first paranormal fantasy book at the age of forty-three, Margaret Daly has started a wonderful trilogy. Margaret took her life's encounters and crossed a bridge to a different world with them, a world filled with untamed power and endless possibilities. Being raised in the hills of West Sparta, New York, Margaret lost her home and everything in it to fire at a young age. She dove into the dark world as a teenager and from there on spent most of her life wrapped up in unfortunate situations from bad choices. Margaret learned some things aren't what you expect; some things end up being more. Now, with her loving husband and four children, a family full of support and love, she has managed to overcome all the oddities thrown at her. Becoming the published author she once dreamed of being as a child but lost track of during this journey we call life. I would be more than happy to answer any questions about myself or my book, especially since they are one in the same. Are you looking for a way to increase sales? Check out the link below and see if it's for you. FREE 150-Page eBook! Beginner's Guide to Writing Powerful Press Releases - Get Yours Now!